This was an exciting year for the Lyme community in the Virginia General Assembly, with two patient-driven Lyme-related bills being introduced. First, Senator Richard Black introduced Senate Bill 671. This bill sought to allow patients and physicians to jointly elect treatment for Lyme disease in accordance with any guidelines registered in the National Guideline Clearinghouse. Senator Bryce Reeves (R-17), cast personal privacy aside on the senate floor and rose to the occasion to educate fellow senators about the dire lack of access to Lyme-related care and the rigid enforcement of limited medical standards. “I was proud to support Senate Bill 671, carried by Senator Black, this year. This legislation sought to protect Lyme patients and ensure that they have proper care and receive proper diagnoses from their healthcare providers. This issue hits particularly close to home for me, as I have Lyme disease. I am able to lead a healthy life, because of the proper medical care I received. All patients deserve the proper level of care. Senate Bill 671 will help do just that.” His eloquent discourse was so moving that over half of the senate voted in solidarity with him, passing SB 671. When the bill crossed over to the house, members of both senate and house committees indicated that they supported the Lyme community in pursuit of better and more accessible care for Lyme patients. However, due to the complexity of the guidelines registered in the National Guidelines Clearinghouse, , leadership in the house decided to first seek an administrative approach to achieve the goals of SB 671 without the interpretational challenges. To that end, the chairmen of both the senate and house health committees are drafting a joint endorsement, asking the administration and the heads of Virginia government agencies overseeing healthcare and professional licensees in concert with Lyme advocates and leaders to create an environment where healthcare providers can treat Lyme disease consistent with a variety of treatment protocols without the fear of investigation or reprisal. The first meeting aimed at achieving such a goal took place on February 23, 2016. 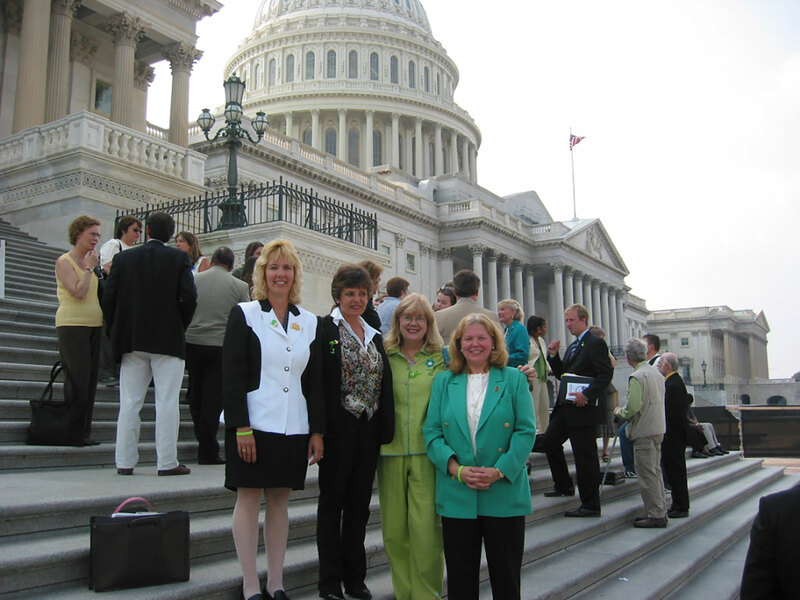 The Lyme community was represented by International Lyme and Associated Diseases Society President, Dr. Samuel Shor; NatCapLyme Executive Director, Monte Skall; NatCapLyme Legislative Counsel, Susan R. Green, NatCapLyme Legal Counsel, Gregg Skall; George Mason Professor Emeritus, Don Boileau; and Myra Holt, RN. Progress was made and future meetings and objectives were discussed. At a separate meeting and in furtherance of the emerging consensus building between Lyme advocates and administration officials, a clear understanding was reached as to HB 962, a bill introduced by Delegate Dave LaRock (R-33). This bill, based on a law passed in 2013, which mandated medical professionals who order a Lyme test to disclose in writing to patients that these tests are known to be problematic and can produce false results. HB 962, as originally written, would have imposed fines on those providers who did not inform their patients in writing about the limitations of the test for Lyme diseases. As an alternative solution, an understanding was reached with the administration that a reminder will be sent to all Virginia physicians emphasizing the mandatory nature of the requirement that a Lyme testing disclosure sheet be provided to each patient being tested for Lyme disease. If a patient does not receive the required notification, the patient may file a complaint by going to https://www.dhp.virginia.gov/enforcement/complaints.htm. Each complaint will be investigated, and if the situation warrants, a disciplinary hearing may be held. Actions resulting from these hearings will be reported and made available to the public.